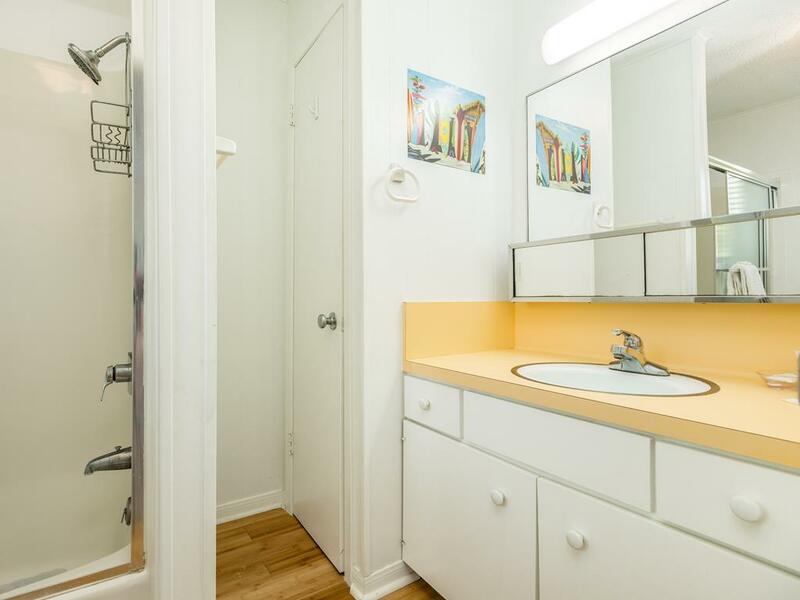 Pet friendly, single level & affordable! 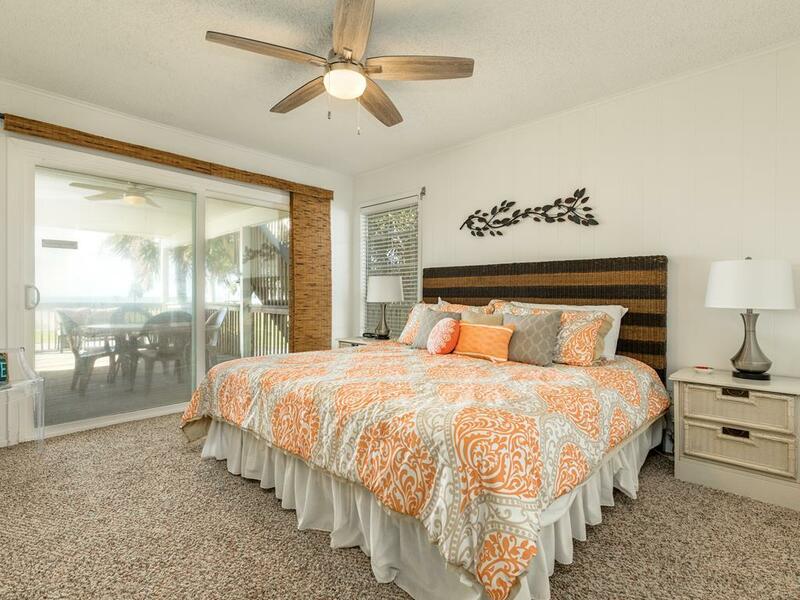 This beachside retreat is great choice for families. 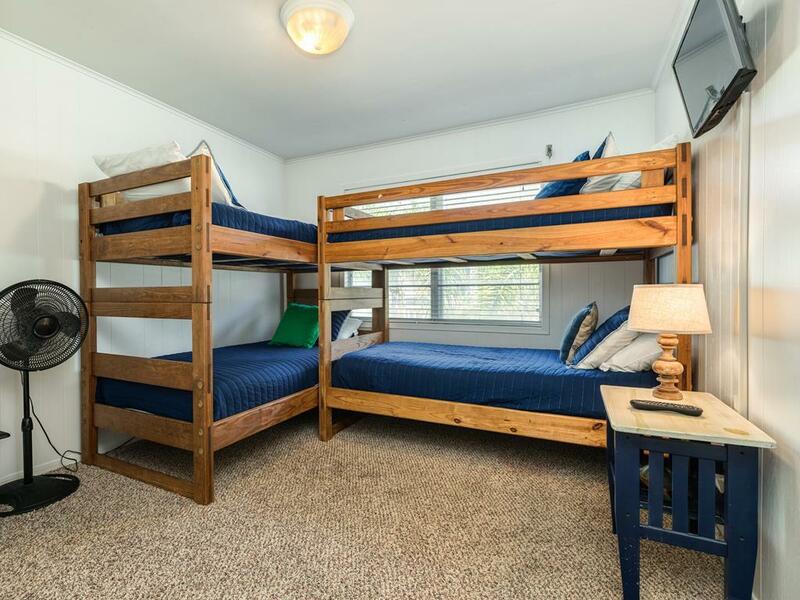 Two king bedrooms and a bunk retreat accommodate two couples and children easily. A crisp white interior with bright accents, casual furniture, and open floor plan is enhanced by the natural light from a wall of windows. 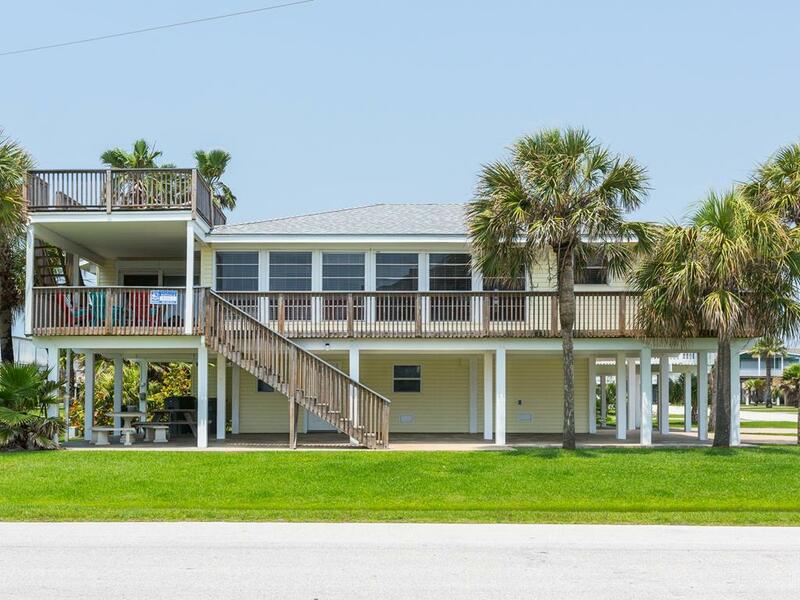 The huge deck boasts long Gulf views and plenty of space for all your activities - enjoy a cool beverage in the covered section or head straight to the rooftop deck for some sunbathing or stargazing. Beach access is a quick 1-block walk through the neighborhood. 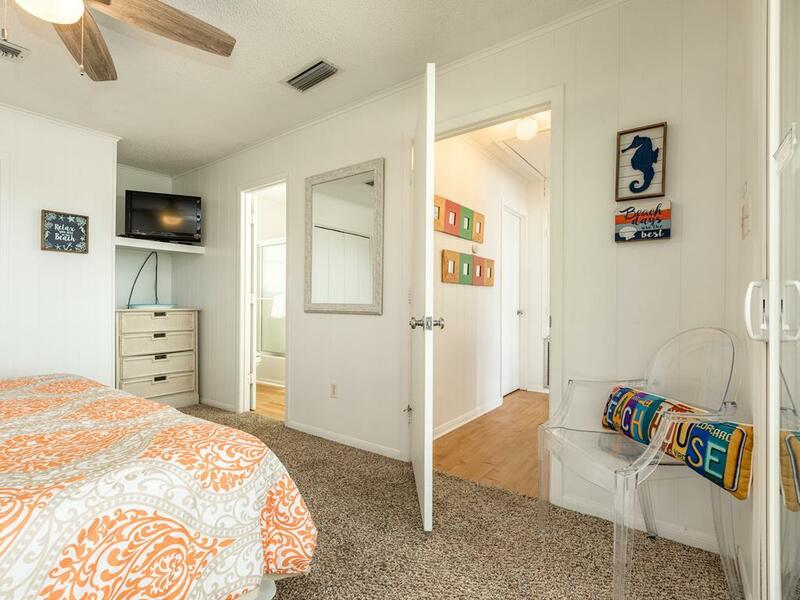 It is a little old and not real big but perfect for our family of 7 and we love how close it is to the beach. This is our second stay because we like the beds. Husband has back problems and mattress are nice and firm. The NEST thermostat is very difficult to use. Our last stay it was stuck on A/C and temp outside was in the 40’s. Had to ask someone to come out Thanksgiving Day and he was so nice and got it fixed so we we could enjoy the rest of our stay. Great location, great view. Loved the covered deck, it had a nice breeze. The covered deck was secure for pets .The house stayed nice and cool. Having a washer and dryer was wonderful. The House was clean with comfortable furniture. The couch and mattresses have seen better days, but wouldn’t keep me from renting this same house again. I would recommend bringing plenty of mosquito repellent. We are thrilled to update that both king mattresses were replaced 11/2018! Great location, well stocked and comfortable. 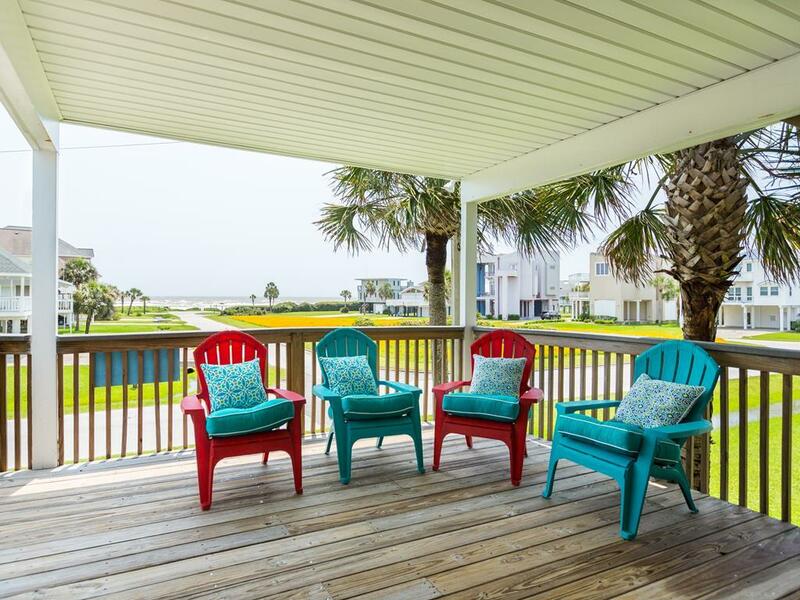 We enjoy the wide ocean view from the main porch. I'm sure the roof-top porch has an even better view. The Ross 5 is a great place to be . It is comfortable and relaxing. Such a great house. 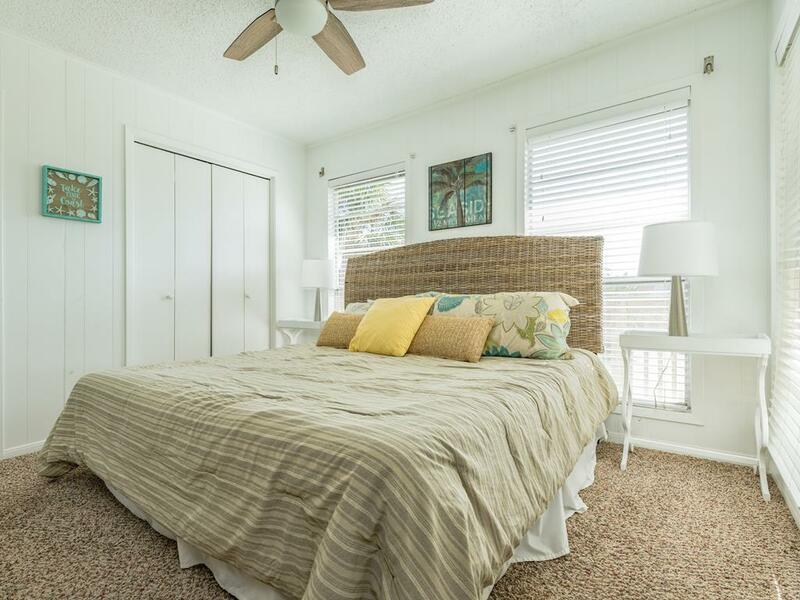 The comfortable furnishings, good floorplan, well-equipped kitchen, and ocean views made for a fun and relaxing stay. This is the perfect house for a small family. The view is perfect and the house is wonderful. We will be back often! This is a great house. The kitchen is well stocked. We had 4 adults and 2 children and were very comfortable. 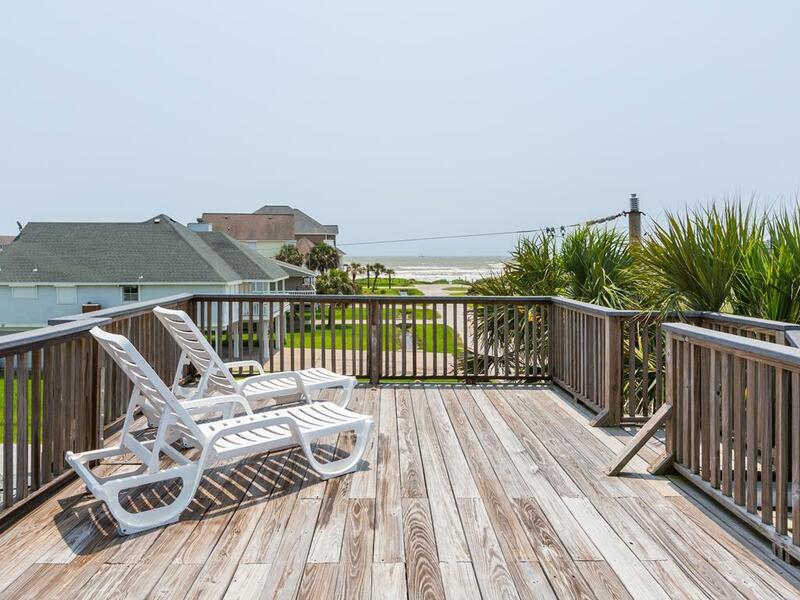 The view and access to the beach is excellent! 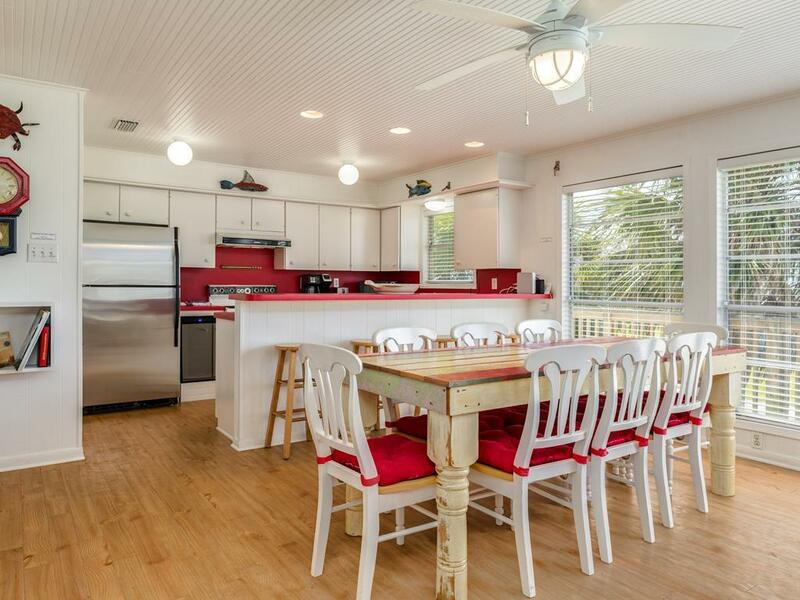 Loved this beach house so much we rented it again. Great location! 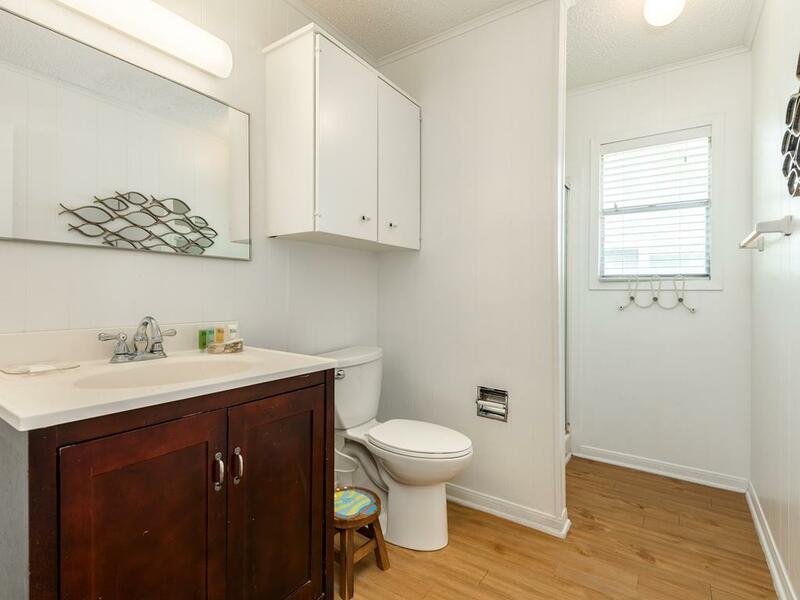 Fantastic house with all the space and amenities you'd need. Having a covered patio and then an upstairs patio for sun makes this a great outdoor space for all. Would definitely stay here again! The place was clean and had unobstructed view of the beach. Kitchen was well equipped with all the tools one would like to have. 2 king-size bedrooms were exactly what we were looking for, connected bathrooms were on the small side, but sufficient. Had friends over for an evening dinner, and the big rustic table in the living room was perfect for entertaining. Wonderful properties and staff! The staff called to check in on us! Excellent experience!!! 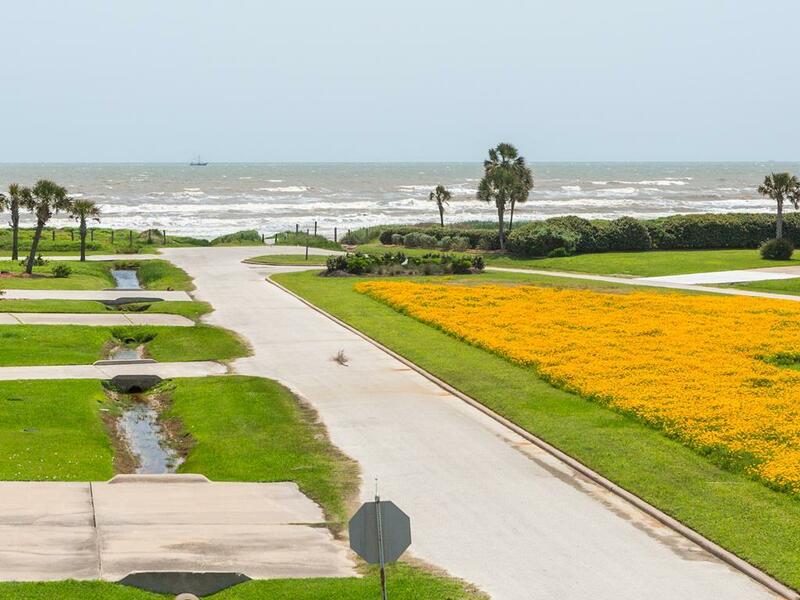 It has very good view of the Gulf. It is a good house for family with kids. My family enjoyed the house very much. Excellent view. Perfect size and one story. Deck great for your pet. Has gates to keep pets on the deck. We just love it. The washer and dryer are upgraded and run quietly and efficiently. The oven is true to temperature and cooks evenly. The refrigerator is huge and held all our food for the week easily and kept everything nice and cold. The ice maker kept up with the demand of our family of four easily. 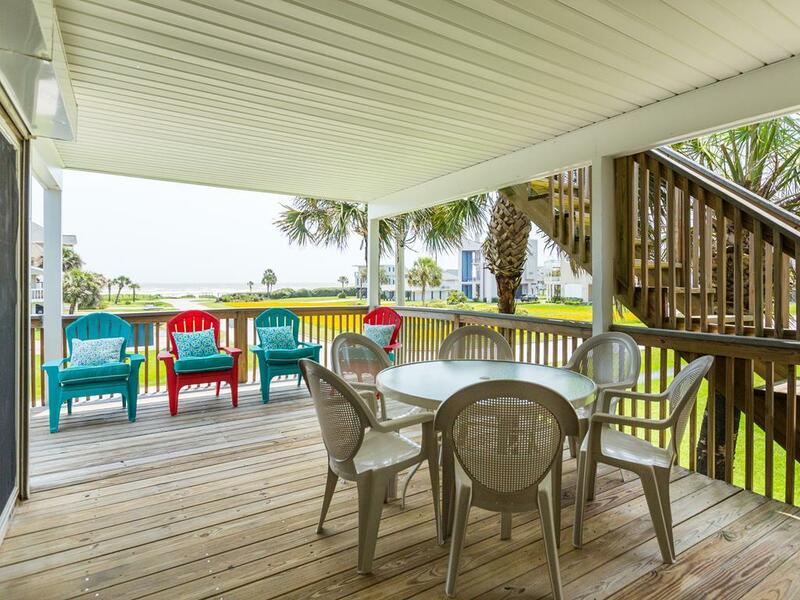 In a nutshell, we are seasoned beach house travelers and found this home to be cozy but still spaced out enough to sleep 10 in beds, comfortably. 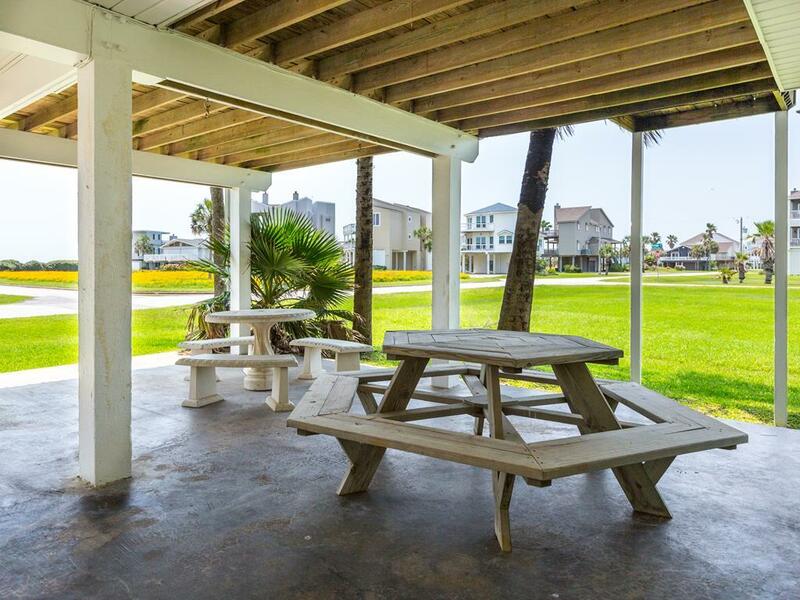 UPDATE (1/11/16): The new owners of Ross 5 have restocked the kitchen and made all necessary repairs and would love to see you back at the beach! Hello Pellerin Family - We are glad you loved your stay at Ross 5! We keep a supply of common household items at our office (pots, pans, utensils, etc.) and are always happy to provided them upon request. Be sure to give us a call during your stay so we can get you taken care of right away! Very tastefully decorated living room. Great decks and views. Centrally located. This is the 5th year we've rented from Sand & Sea and the service and condition of the rental properties has always been great. We'll use Sand & Sea again certainly. Ross 5 is a great house. We loved all of the windows and the view from the patio. Hopefully on our next trip down the mosquitos will be minimal - the house had a great covered driveway underneath the house that we would loved to have been able to use. Access to the beach and to the activities in Galveston was great! It is a perfect location. Deck is always shady with a great view of the water. You can hear the waves. 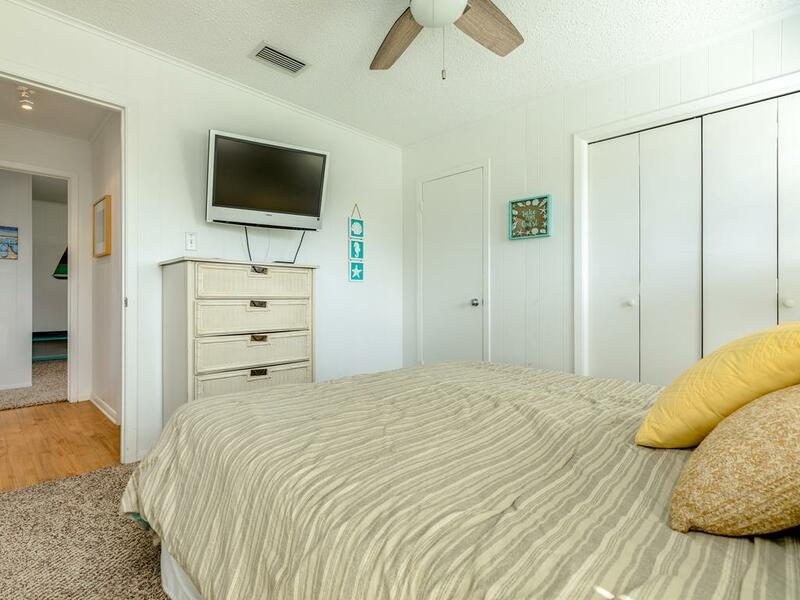 When you are ready to walk to the beach, it is a very short distance. Our dog had a wonderful time too. The deck can be secured with one baby gate, so she could have freedom and still not get away. Have been renting from SandNSea in Pirates and Indian beach for 27 years. You can not go wrong wit SandNSea. Fun home with great view. Was not so fancy that we had to worry about messing it up! Will be back. This was our 4th year renting from you and we've had an excellent experience each time. One of our daughters is special needs and this is a very special trip for her and her little dog, and you have done a very good job with everything all 4-years. Great location and view to the beach! We enjoyed our stay and plan to make this an annual trip. The area is always clean and since we have come in September the last 2 years not crowded at all which makes it nice!! 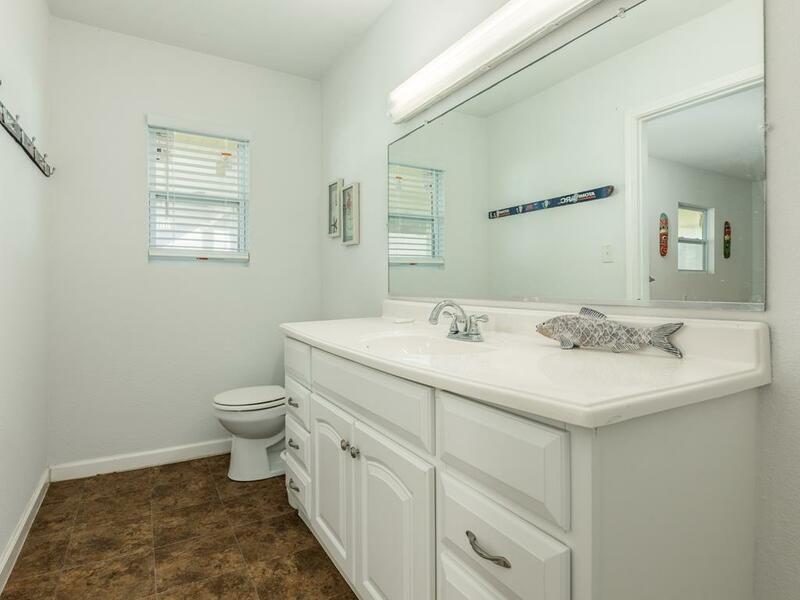 Great property, very comfortable and clean, beautiful view of the beach. Would rent again. It was clean. One story. Perfect deck--shaded well all hours of the day, one entrance so our baby gate kept the dog on the deck. Great view and a short walk to the water. Could hear the water at all times. Very relaxing. Deck is nicely shaded and you can see and hear the gulf from the deck and living room. Very relaxing house. Also very handy to have nice washing machine and dryer. Hot and cold outside shower gets all the sand off too! Great location! I booked by phone this time since lur usual house was rented all month, and asked for a recommendation of another 3-bedroom house. Misty was recommended. 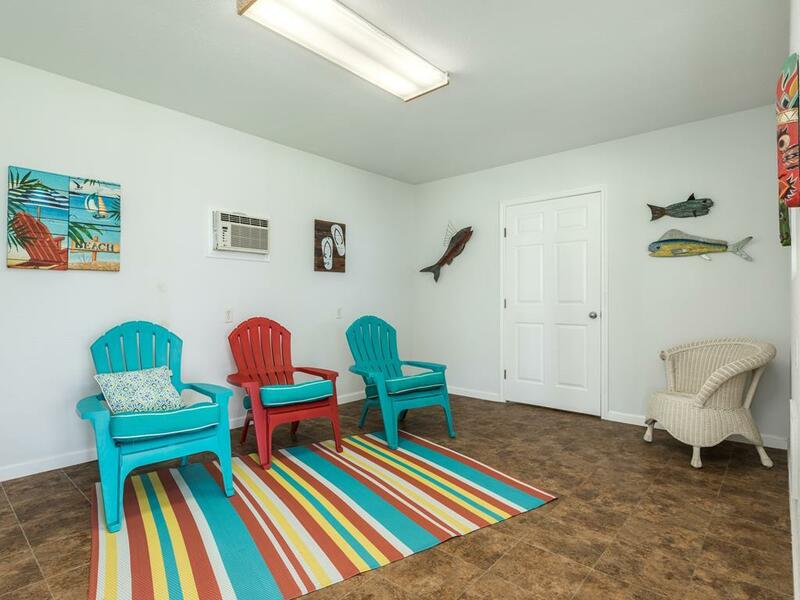 We got to Sand & Sea and found Misty was a 2-bedroom and were pretty unhappy, but our renter agent was very helpful and got us lined up with Ross 5 quickly and we were actually, overall, really happy with that house and would probably rent it again. Mistakes happen but Sand & Sea fixed this and we had a great time. Hello Lynne - We are so sorry for the inconvenience and are very glad that we were able to find a home that accommodated you! We can't wait to welcome you back to either home! Excellent property! My family and I had a wonderful time and are looking forward to renting this house again next year. 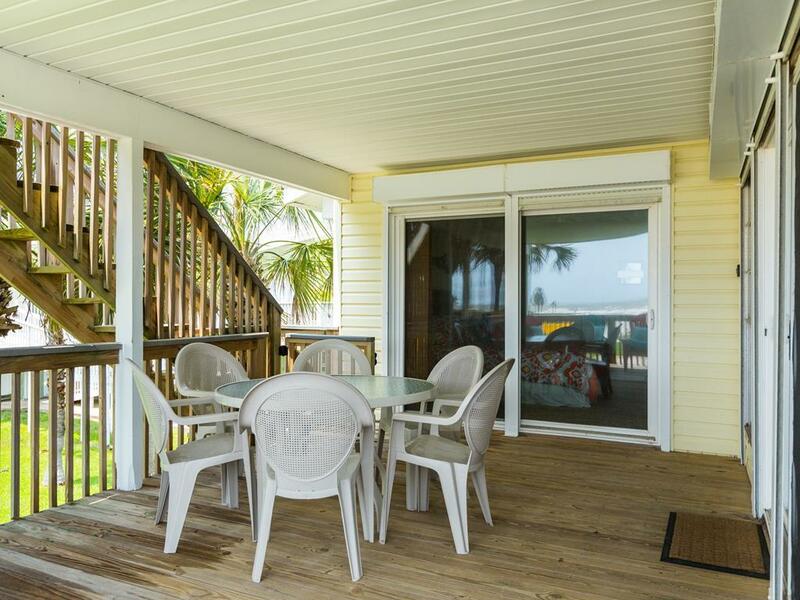 One of the special things this property has is a covered deck that allows a view of the gulf. 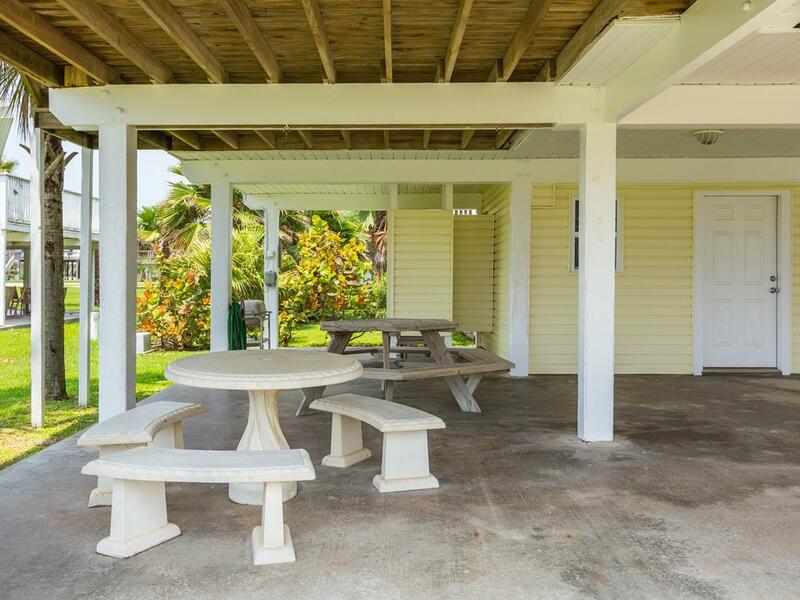 The location is excellent; the covered deck area is nice to have as well as the area under the home; lacking in good deck chairs an lounge pads; kitchen very well stocked with dishes, appliances, pans, etc. Two king bedrooms were especially welcome for the two families. The kids shared the bunk beds and had a blast. Really enjoyed the home and our stay. Were very pleased with this property and it's location to the beach. Just a minute or two walk. Great ocean view, open concept living and kitchen, isolated master and a great upper deck. Was the perfect house for our family vacation. Would reserve again with no hesitation. We liked staying at Ross 5 because the inside is beautiful and there is a covered deck with a view of the ocean. The outside does not reveal how great it is inside. W also like the 3rd floor open deck with the view of the ocean. We enjoyed the short walk 1 block to Pirates Beach and did not find it crowded on the weekend.